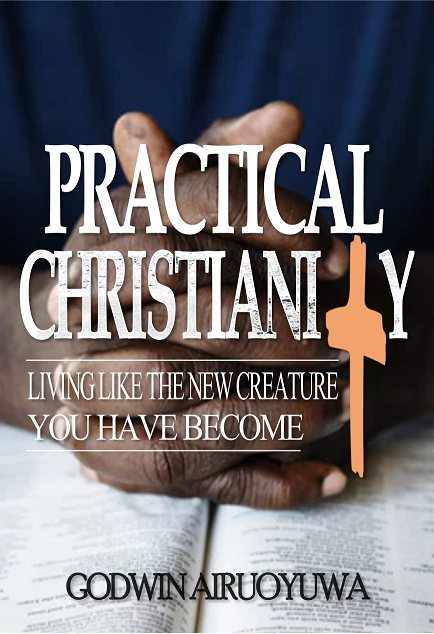 » Practical Christianity: Living Like the New Creature You Have BecomeShidaanikei Publishers, Inc.
Shidaanikei Publishers announce the publication of Practical Christianity: Living Like the New Creature You have Become (2019) (ISBN 978-0-9948272-7-2)) by Godwin Airuoyuwa. This book is intended not only to highlight the importance of the Holy Spirit in the life of the Christian, but also to explain how this new life-style can be lived in a practical way. It is also designed to address the trend that many who claim to be Christians who for lack of understanding tend to distinguish between what they call their ‘normal’ life from their Christian life. They live their Christian lives on Sundays and on days they gather to worship God. At other times, they live their ‘normal’ lives. The message in this book is that anyone who has become a Christian has only one life and that is the life of Christ, there is no ‘normal’ life.